UNLIKE these others on this list, we ARE open and have been for 8 straight years! Now it's 2016 we are even more sadistic than ever. CAW, and roleplay based. Come check us out! A new fed started by Shane Mcmahon to rival his father's company. With Eric Bischoff by his side, can you help him succed? Winners judged on quality of roleplays. A new efed that is looking for new members! A fun, active fed! We just opened and we need lots of new members. If you like to Rp and have fun then this is the place for you. Sign up today. WWE Dead Zone; Rise From The Dead With Us || A top new e-federation with friendly, easy-going staff. One weekly show, five championships and many top Superstars and Divas available! 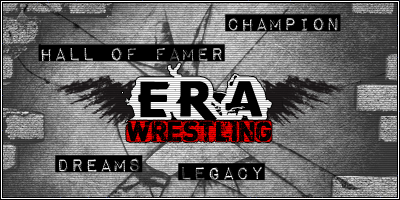 A new, fresh, ORIGINAL, EFed run by some of the top guys in the EFed business with over 40yrs experience between them! A Brand New Fed With Over 10+ Members! We Have 1 Show Friday Night Warfare! So Please Join To Keep Us Alive! A new E-Federation that has just opened. Qualified and experienced staff that know how to treat people with respect and understanding. Very creative team will help with coming up with storylines/angles. Need more members before being opened fully. This fed could be great! We just need your help! No Limit Wrestling is a new e-fed designed to connect art with e-fedding. Be this art in graphics or writing. We are a Promo Based e-fed and accept both real and CAW characters. Join today and throw your limitations away.